After an incredible week in D.C. it was finally time for me to move on; the next destination was Philadelphia. 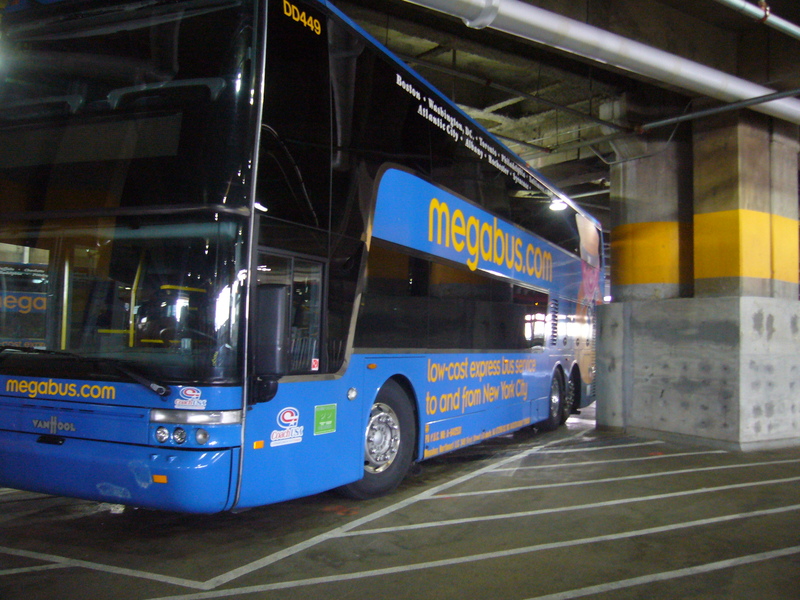 I took a casual approach to my final morning in D.C., getting up late, chilling, packing and eventually saying goodbye to any of my friends who were still around and heading down to the Union Station to catch the Megabus. I’d booked my ticket online and written down the reservation number on my phone for ease. Or at least, that’s what I thought had happened. It turned out that I taken the first jumbled collection of numbers and letters in the confirmation email and assumed that this was the reservation number. Wrong. For some reason, Megabus give you two numbers; a reservation number and a transaction number. Fortunately, I had my Kindle accessible and was able to just about pull up the email before feeling the urge to smash it upon the ground. Crisis averted. I boarded the bus, relieved not to have actually smashed my Kindle and got some serious reading done. Compared to the Greyhound bus the journey was marginally better; the seats and bus as a whole was more comfortable. 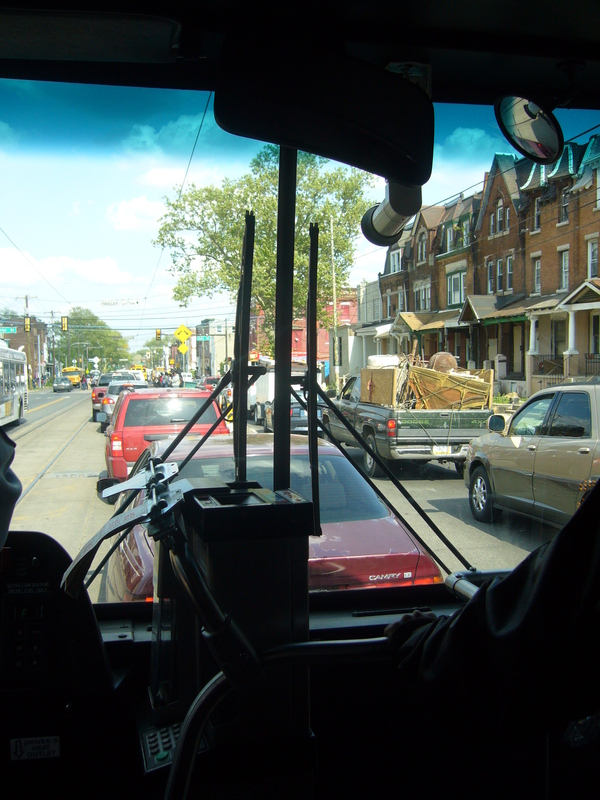 Once I arrived in Philadelphia, I had to find the #38 SEPTA bus and do my best to enjoy the hour-long tour through the suburbs to Fairmount Park and the Chamounix Mansion Hostel. As I got off the bus I was followed by Kathy, who was also staying at the hostel who informed me that it was quite a long walk. Fortunately, we didn’t agree on the concept of far. Chamounix Mansion turned out to be quite an incredible looking hostel. 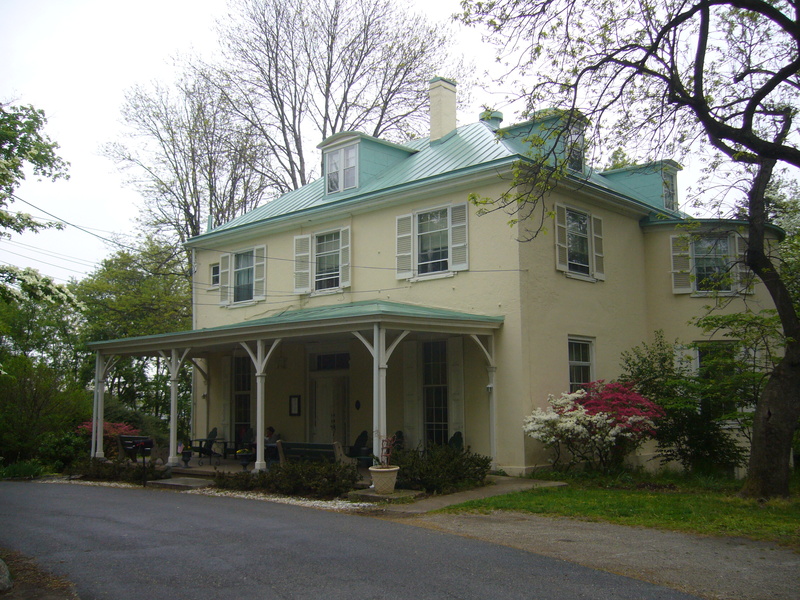 Originally built in 1802 as a country home, it was taken over by Hostelling International and is a pleasant place to stay if you want to avoid the bustling city centre. It is, as I’m sure you can tell, a little too far out to be convenient but it made for an interesting change of pace. 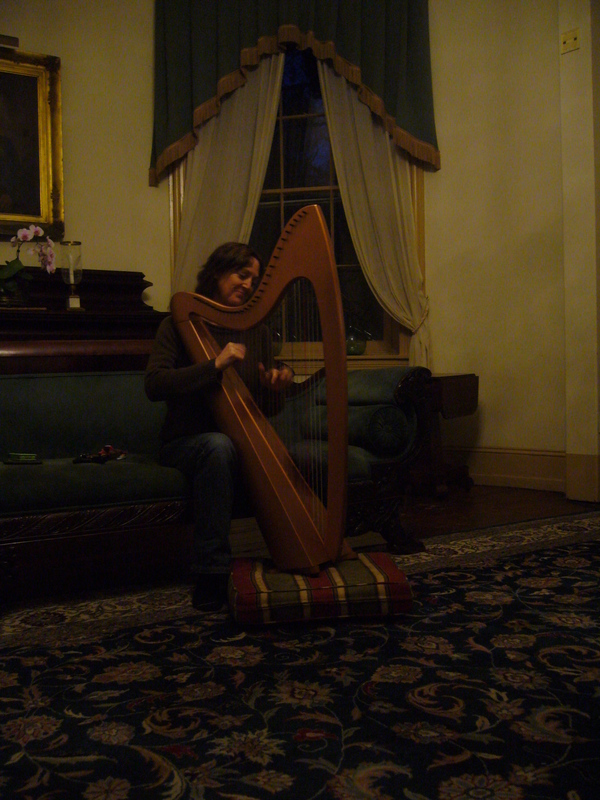 That evening I spent quietly tucked up in a winged armchair with The Count of Monte Cristo until Kathy walked in, asking if I would mind if she played her harp. I was more than happy to listen to her play and enjoyed a very different kind of chilled out evening. The next morning, I checked with the hostel staff on how long it would take to walk into the city and instead of a time I was given a map, rough directions and a very enthusiastic suggestion that I should go to the East State Penitentiary as it would be one of the first places I would come to once I entered the city. 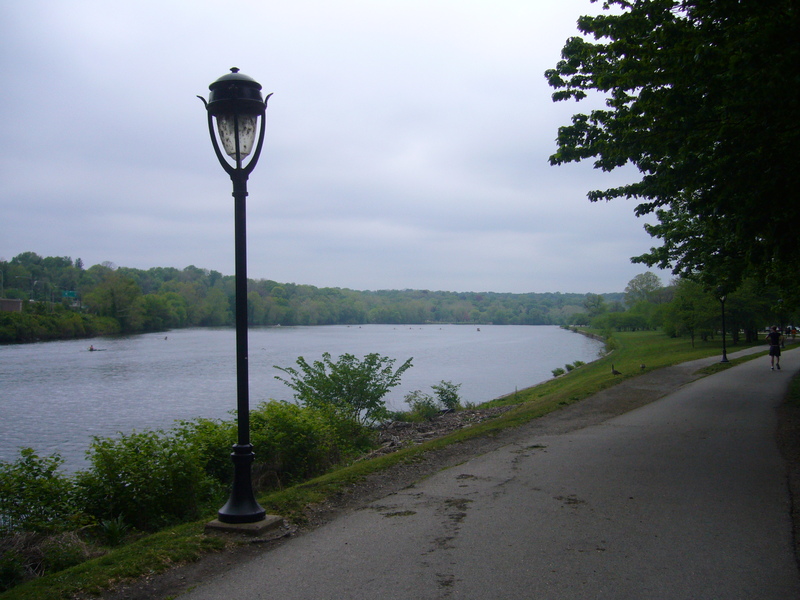 The route in followed the course of the Schuylkill river as it flowed to join up with the Delaware. It wasn’t half bad as far as walks go, and only two geese were annoyed enough by my presence to harass me. 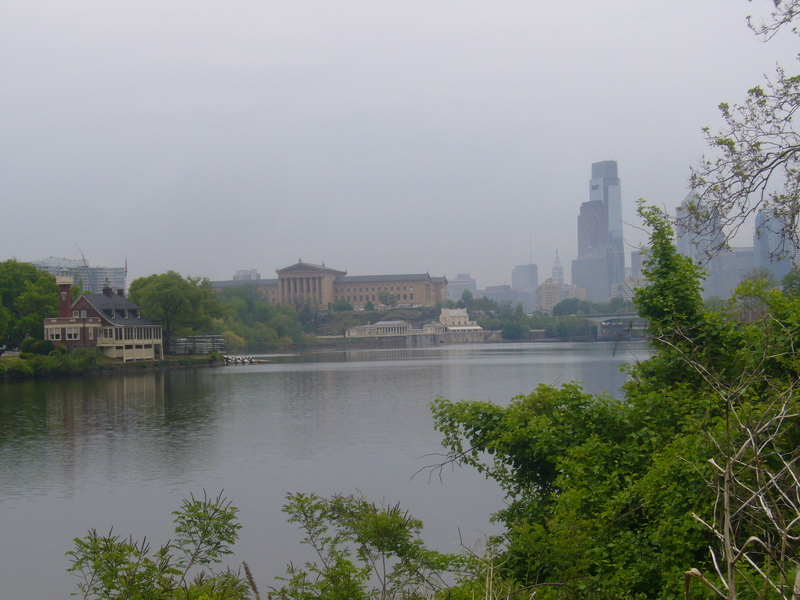 Eventually, the city skyline came into view and its quite an impressive sight; with the old waterworks in the foreground, the Philadelphia Art Museum in the centre and the skyscrapers of down town in the background. 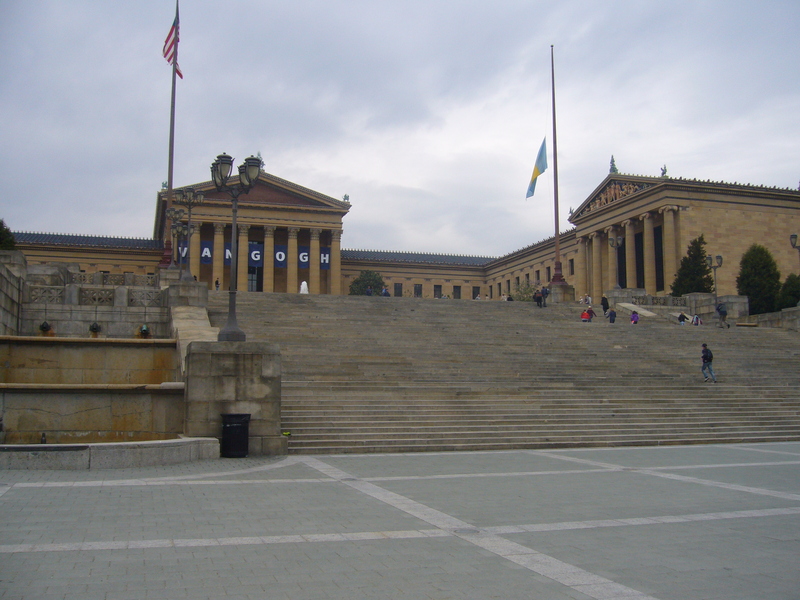 I was pleased to find the Art Museum would be on route, while in the city it would be rude not to see on of it’s most famous cultural icons; The Rocky Steps. Once I had made my way around to the front of the museum I found people of all ages running up the steps, one young man even humming the tune to Gonna Fly Now. After a few minutes of amusement at the various poses a group of British “lads on tour” I headed on to find the East State Penitentiary. Abandoned prison you say, probably haunted? Count me in! East State was the world’s first true penitentiary; designed to inspire true regret in the heart of its criminals. 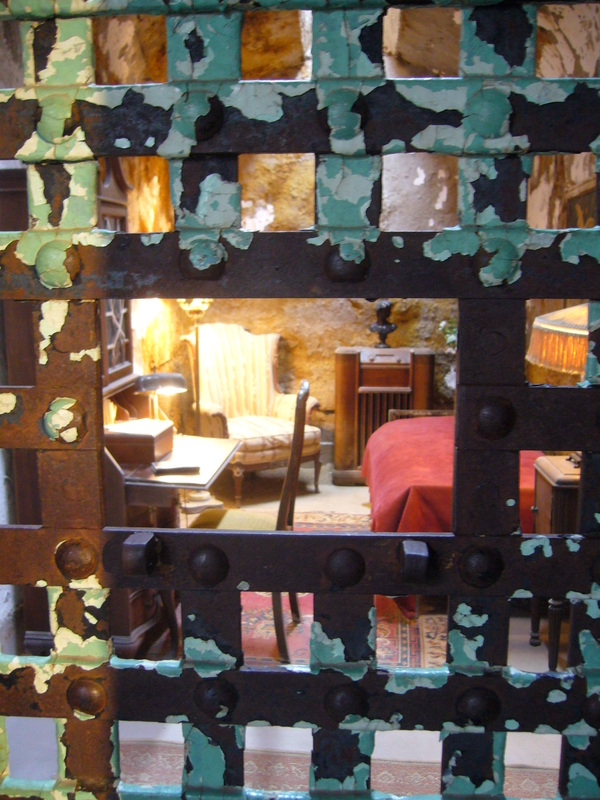 Based on looks alone with dramatic sky-lit cell blocks, wire framed beds, crumbling plaster walls, broken glass windows and towering fortress-walls there was enough here to keep me fascinated for hours. 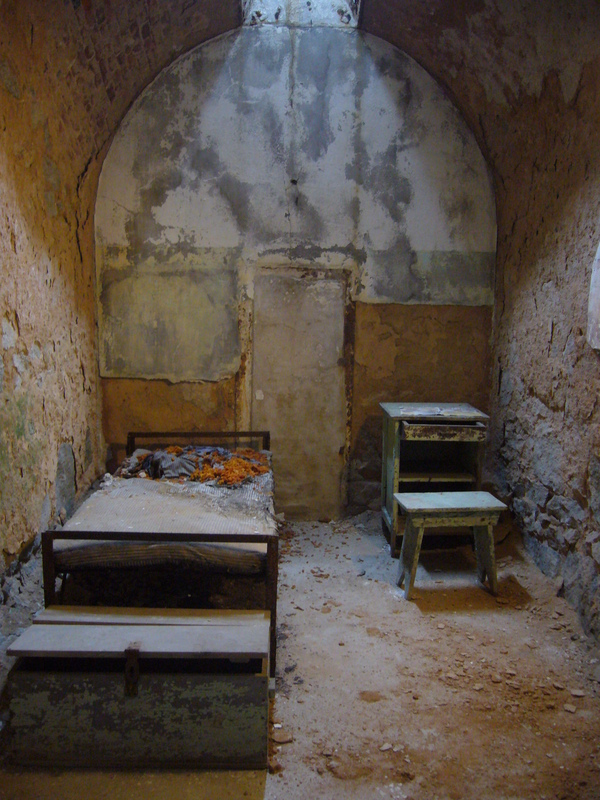 The history was as equally compelling; to being with it was thought that solitary confinement was the most successful way to rehabilitate a criminal. Shut off from society and forced to face his own internal dialogue, it was thought that they would leave as reformed men. This idea soon began to change and people, including one visitor to the prison; Charles Dickens, started to believe that years of solitude would actually make a man mad. 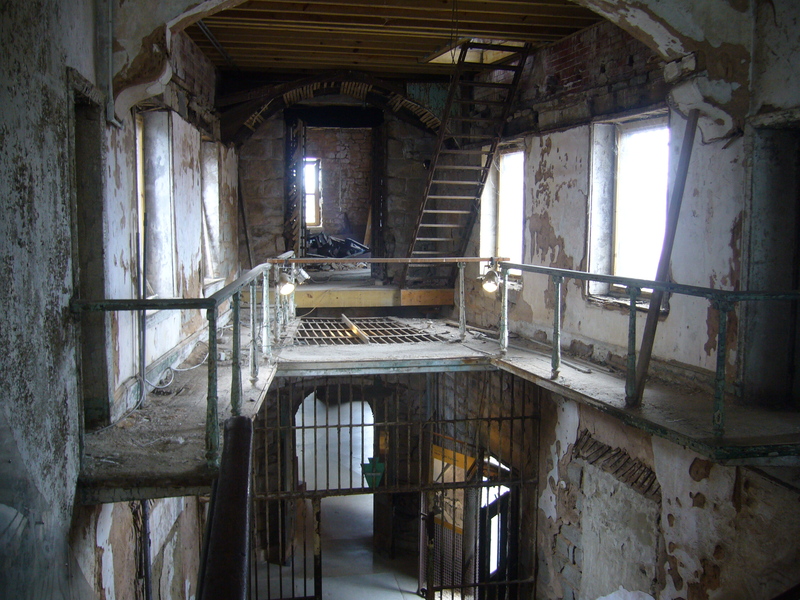 Eventually, second floors were added to the initial seven cell blocks, then came guard towers as prisoners were allowed to mix in the open spaces, and eventually prisoners would share the cells. I took an audio tour of the prison, narrated by famous actor and all round good guy Steve Buscemi before going off-piste and looking into many of the crumbling cells. 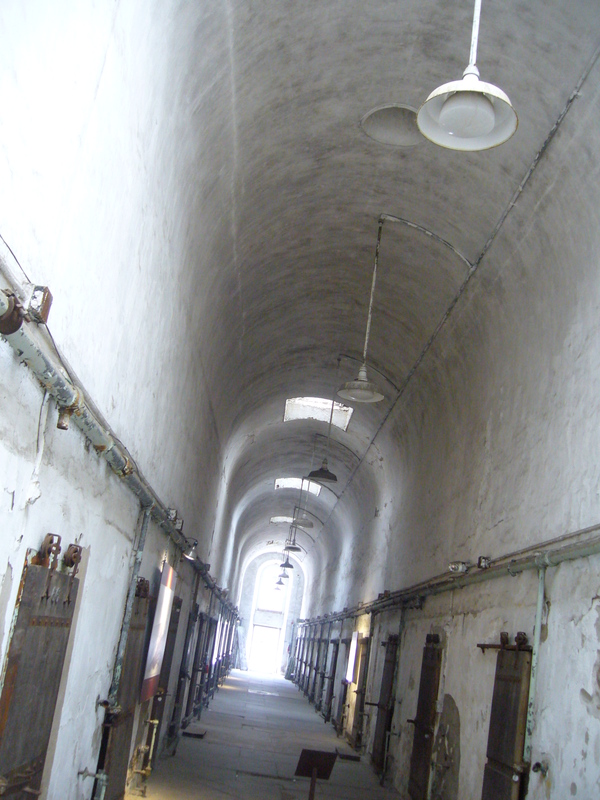 It wasn’t bad for all of the prisoners who were held here; one of America’s most notorious criminals; Al “Scarface” Capone was incarcerated for one year after being arrested in Philadelphia for carrying a concealed deadly weapon. His cell was somewhat different to the others, and it would appear that the guards and even the governor must have treated him with a form of respect or even awe. Among the other cells and blocks several artists had been allowed to create installations some of which were quite fascinating. After several hours of trying to decide whether the abandoned cell blocks were terrifying or awesome or a mix of the both I decided to take a quick walk into the city centre before walking back to Chamounix. Great pictures of the haunted prison! I can feel strange movements in by bowels just looking at them.